The Philips 258B6QUEB is a 25″ 1440p monitor. Notably it is one of the first models on the market to incorporate USB Type-C connectivity, something that is not actually that common on these devices yet despite the increasing uptake in phones and laptops. USB C allows for super fast data transfer, and is even capable of carrying video making this an ideal standard for use on monitors. You could hook up a USB C hub or use it to daisy chain to other monitors, although unfortunately only one is included on this model. 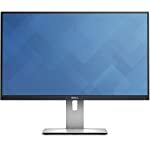 Otherwise, the 258B6QUEB is a 25″ QHD monitor making it a compact alternative to the larger 27″ models where you’ll typically find this resolution. With it’s overall sleek look this is a preferable option for anyone looking to save some desk space or just doesn’t like the larger feel of big screens – like me! The 258B6QUEB is an incredibly flexible monitor, it will meet most user’s needs with out breaking a sweat. Connectivity is provided by HDMI, DisplayPort, dual-link DVI and VGA ports so you’ll have no problem hooking this up to your PC. Of course you’ll need the higher bandwidth digital ports to get 1440p at 60hz, no such luck over VGA! In addition to the USB C port there are 3 bog standard USB 3 ports included, one of which supports “fast charging”. Headphone socket and 2W speakers complete the picture. But as is often the case they are tinny and lack bass. Stick to your headphones perhaps. The design is elegant enough and this model has a slender footprint making a good choice for those low on space. If you want to save even more space, you can mount this model on the VESA (100 x 100 mm) attachment, this is something I recommend having finally got round to buying arms for my screens. Like other 25″ models that use the same panel this has ultra thin bezels for the so-called frameless design. The IPS panel from LG provides consistent colour accuracy at wider viewing angles, something the cheaper TN technology is not able to do. Philips also incorporate flicker free back lighting to help reduce eye fatigue. If you don’t enjoy fiddling around with different calibration settings there are SmartImage presets included that will help get you going. You can choose from Office, Photo, Movie, Game, and Economy settings and of course come up with one of your own if you prefer. The 1440p resolution really does look great, images will be clearer and sharper compared to the more common 1080p. The downside is that text and icons can look on the small side with default Windows settings. At least it it’s not as bad as on a 24″ screen and it is perfectly usable if you have normal eyesight. With higher resolutions becoming more common Windows and developers are getting better at scaling for suitable readability anyway. This monitor doesn’t pretend to be aimed at gamers, but with their SmartResponse a 5 ms response time is claimed which should give an adequate performance. Do remember that 1440p takes a lot of PC muscle to run smoothly so if you are a gamer you will want to make sure you back up this screen with a decent modern graphics card. We give the Philips 258B6QUEB a 4 out of 5 rating. Want to know what existing owners of the monitor think? You can read real user reviews here. 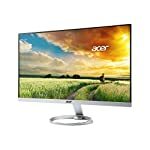 Should I buy the Philips 258B6QUEB? The Philips really is an excellent monitor with all the connectivity and setup options you could wish for along with great out of the box colour presets. However it is pricier than other models so unless USB C is a particular draw you might want to take a look at the competition before pulling the trigger. If you are having some doubts about this purchase then why not read some real owner reviews and see what other buyers think.